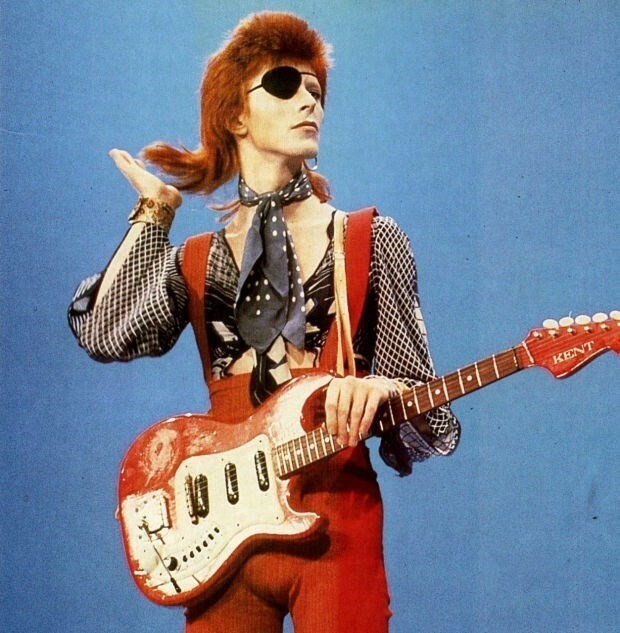 David Bowie has always been one of those artists that people want to openly express their allegiance to, no less so since his death in January 2016. Not that it’s much of a surprise; his wildly famous career based on radical reinvention spawned a treasure trove of imagery to be mined by fans. The Aladdin Sane makeup, an obvious example, is a costume party go-to. Recent ways to weave the singer into your life have included a London-based Bowie-themed bar and a font based on his handwriting. Soon, though, there’s going to be a new way to show off Bowie fandom, in the form of a limited-edition range from Vans. Each of the four sneaker designs will be based on one of Bowie’s iconic albums. There’s the “Slip-On 47 VDX” for Hunky Dory, the “Sk8-Hi” for the Ziggy Stardust era, and “The Old Skool” and “Era” shoes throw back to Aladdin Sane and Space Oddity, respectively. Watch a short video teaser below. The designs will be in shops from April 4, but might not last long.